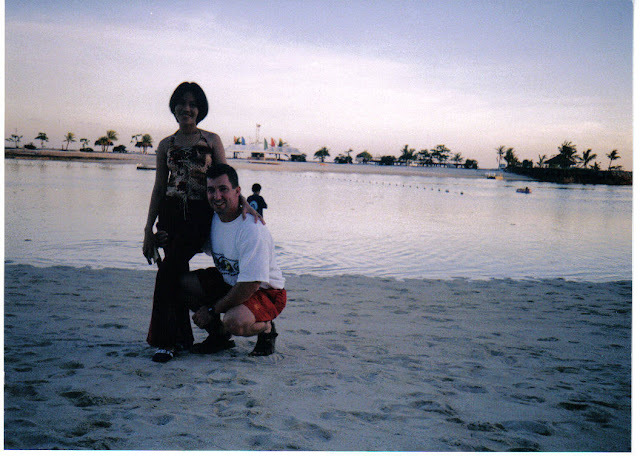 Wow, I can't believe that it has been 14 years since I committed myself to a great man, the love of my life. He has been the best partner, supporter, companion, friend I can share my thoughts and feelings, and the best husband I could ever ask for. Thank you Hon for all these wonderful years that we have been married. 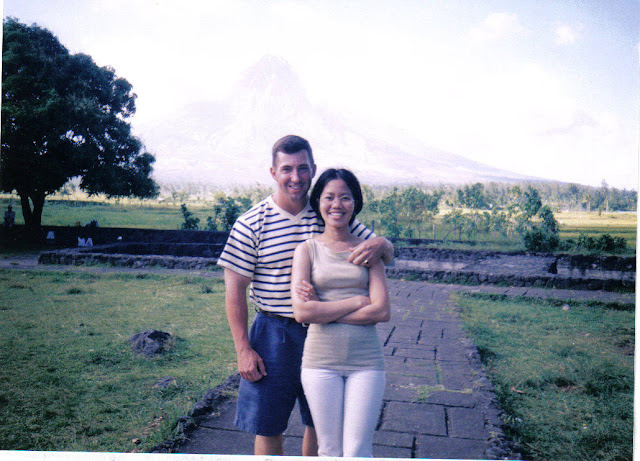 2003 - Legazpi City, Philippines - The beginning of it all. The foundation of what we had and still have till today. 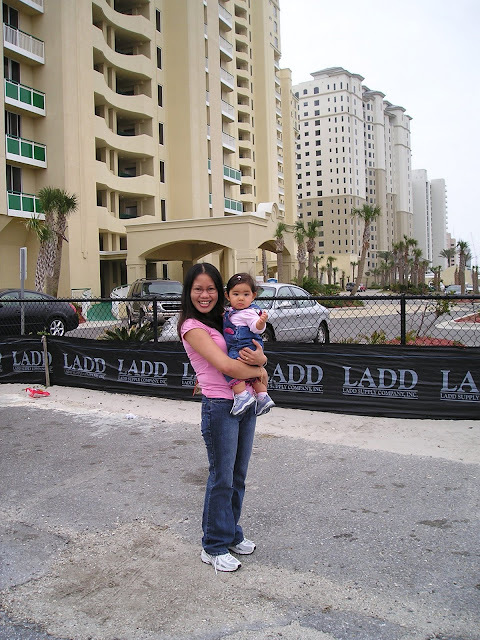 2005 our daughter was born - I was scared for the responsibility of a Mom but you were there to assist me. It made it easier knowing that I can lean on a strong shoulder. 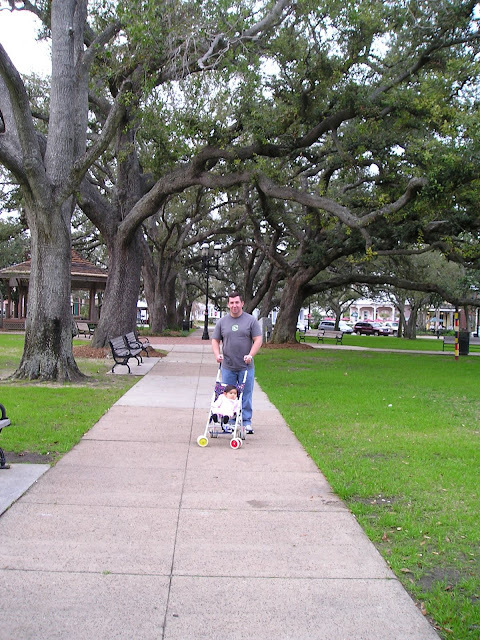 2006 - Pensacola Florida -our first travel since our daughter was born. I feel in love with the Florida weather. I wish we could have that weather here in WV, that would be a dream come true lol. It was nice feeling like I was in the tropics again. 2007 - Our son was born. Motherhood was never an easy job but you were there for me every time I needed a boost so thank you for that. I am so blessed to have a husband who truly love his children. I could only wish that every father would be like you. Every children deserves a Dad like you. 2008 - Chinhae South Korea - Spending the last two years of your tour in the Navy with you in the land of the morning calm was a great adventure. It was a great experience I will never forget. To be able to experience it with our children was a blessing. 2009 - Seorak San Park, South Korea - Traveling in South Korea was fun and a great adventure for us. 2010 - Celebrating our 7th Wedding Anniversary - I can still remember when you told me the 7 year itch and I was like "What is that?" So glad we never had an issues with that. 2011 - Disney World, Pensacola Florida - Another great adventure for us especially for the kiddos. It was a magical way of celebrating our 8th year anniversary. 2012 - First Niagara Pavilion, Burgetstown PA - Attended a Jimmy Buffet Concert, it was an experience I will never forget. This was the second time we have gone without the kids. It was short-lived but fun. I realized that attending concert is a not a good idea for a person with migraine like me lol. I was trying to enjoy the moment despite the migraine but when the drunk guy poured a beer on my back, we left. 2013 - Settlers Ridge, Pittsburgh PA - Even a simple anniversary celebration turned out to be special because you always find a way to turn ordinary adventure into an extra ordinary one. 2014 - special moment at home. Dang, looking back at these photos makes me realize how much we aged in 14 years lol. However, physical change is normal, what is important is that we still love and respect each other . Happiness in marriage comes within. I am so glad that God gave me a man who truly appreciates who I am and a man who loves his family dearly. Together we will try to raise our children the best we can. I pray that God will bless us with great health so we can grow old together. Happy Annversary! What beautiful photos! Wishing you many more years of happiness. You two are so cute together! I love reading your posts, because you look like such a happy family. Happy anniversary, and here's to 14 more years and many more after that! Happy anniversary! Our 8th year married is next week! It's really very exciting. Congratulations! 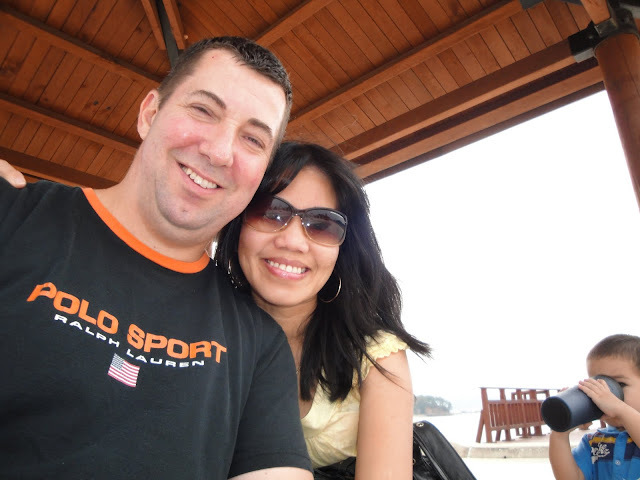 In December my husband and I will celebrate our 14th wedding anniversary, although we have been together for 17 years. Congratulations on 14 years together! We are coming up on our 9 year anniversary. These are fantastic photos of your beautiful family. Happy anniversary! It is crazy how fast time fly's by. Wishing you a wonderful anniversary and many more happy, healthy years together. Thank you so much for sharing your beautiful family with us! Awee thank you so much for sharing your special moments. Love the photos and congratulations on 14 years!! Happy anniversary! What a wonder family you've created. I wish you twenty more years of happiness. What a beautiful couple. Congratulations on your 14 year of marriage. Happy Anniversary. Cheers! Happy Anniversary. It is fun to look back through all of the photos. My husband and I have been married 9 years. This last year has been trying but we have hung on to what we have. I hope that we can make it to 14 and many more too. Happy Anniversary! What a wonderful life you have had and what a beautiful family you have. I enjoy following along on your blog. Happy 14th Anniversary to you and your husband!! You've accomplished a lot in 14 years and I'm sure the next 14 will be just as magical! What a nice journey through the years. Thanks for sharing the memories! Happy 14 years of marriage! Great photos of the two of you and your kiddos. Here's to many more years! Cheers! Happy anniversary you two ! Thank you for sharing all these wonderful pictures with us. It was a neat way to see your journey. our nine year is in a week, it really is crazy how fast it seems to go! Happy anniversary! You are truly blessed.